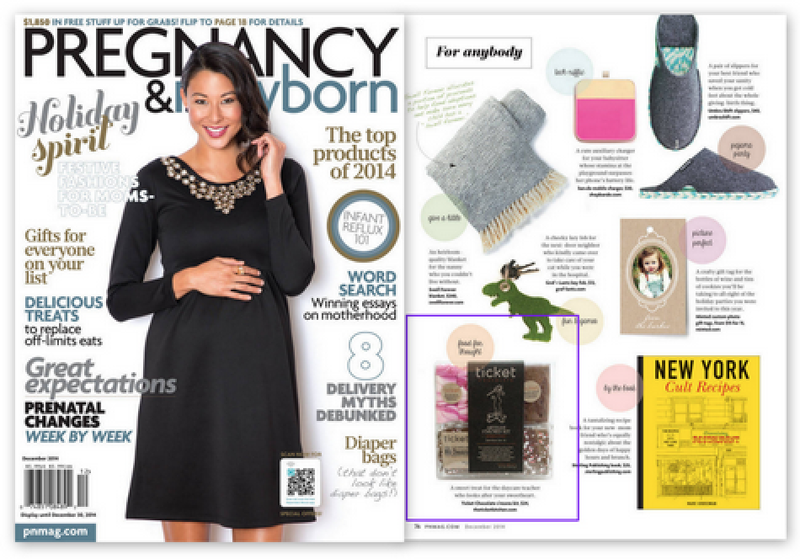 Congratulations to our Client Ticket Chocolate for their feature in the Pregnancy and Newborn’s Holiday Gift Guide! Ticket Chocolate is no ordinary chocolate, but â€œcouvertureâ€ chocolate made by a staff of artisans in supremely creative flavors. Dressed up for the holidays with a delightful peppermint flavor, their Artisan S’mores KitÂ is the ultimate melty, ooey-gooey, chocolate graham marshmallow experience. Enjoy aÂ portioned bar of the finest couverture chocolate, four vanilla-bean peppermint marshmallows, and eight freshly-baked graham crackers.Â Put them together and you have an indulgence unlike any other, outdoors or in. Indulge your loved ones with their Hot Chocolate Ticket Sticks, Artisan S’mores Kits, and Beloved Bars. Check them out atÂ www.ticketchocolate.com!